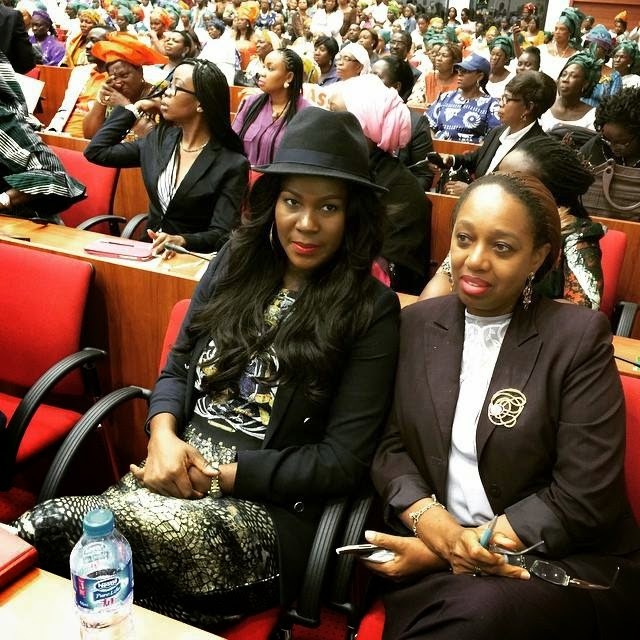 Stephanie Okereke-Linus was part of the observers at the National Assembly today. She joined many other Nigerian's who came to witness the Violence Against Person's bill (VAPP) being passed into law. "At the National Assembly today with these amazing women and men fighting for the Violence Against Person's bill (VAPP)to be passed. It's been a 13years old journey for them and we pray that the bill will be passed soonest, which will help protect you and I. ‪#‎PasstheVAPPbill‬. I pray the bill is enacted and implemented.